A simple maze with plenty of health, ammo and enemies. Your objective is to find the Gman. There is no special ending when you do. A very basic first map that at least has some gameplay. 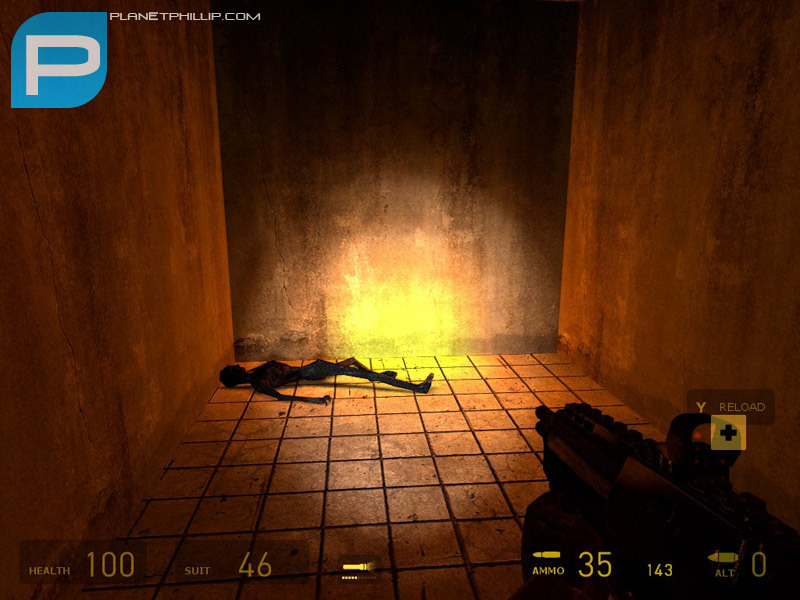 Copy the .bsp map file into the Half-Life 2: Episode Two maps directory. It’s hard to give this map a higher recommendation than the one on the left simply because it’s just a basic set of corridors shaped like a maze, with no ending and little to make it worth the time and effort. However, the author has at least created and released a map, which I guess 90% of PP readers have never done (At the time of writing myself included) He/She has also taken the first steps on the road to improving. I found g-man! and then I quit the game, a bit anti-climactic. Good first map! makes me think that I CAN make my own map if this gets the front page of planetphillip.com. makes me think that I CAN make my own map if this gets the front page of planetphillip.com. Start now and soon you will have a playable map I will post. BTW, don’t think of it as the frontpage in the same way as a newspaper. Every map or mod gets “frontpage” purely from being added. I just add them as I find them. 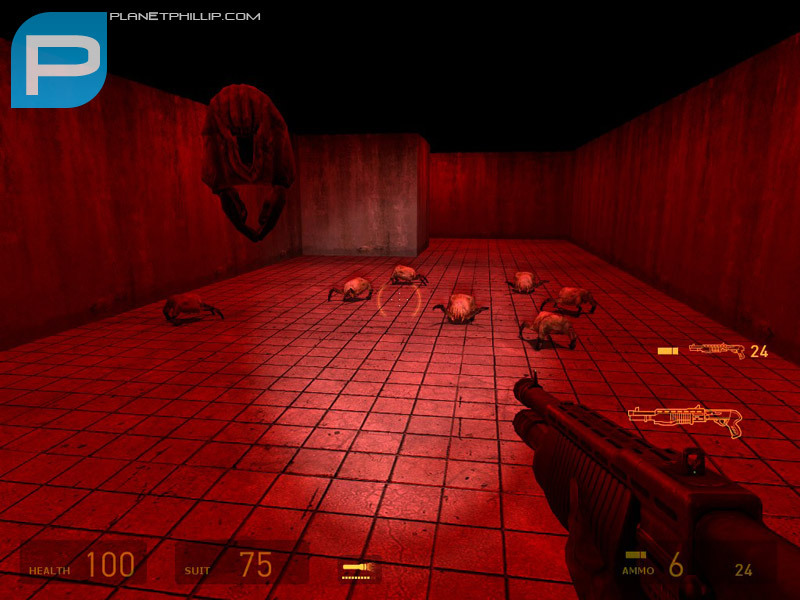 Very basic stuff just corridors of crabs and zombies to shoot-up, Phillips review is spot-on. Only play this if you have the need take it out on something, bit of a tension reliever for 5 minutes or so. The layout was kinda boring (same texture all the time etc) But for as this is first map, its GREAT. Placing the zombies was good. And I liked that it wasn’t a one tube. I could change my route and avoid enemies. It’s something to do for 5-10 minutes. I almost gave this a Maybe, but think this is really only for people who want to play everything. Nothing exciting here. A load of corridors, not even a proper maze really. Not rewarding at all. But there is a way to make more fun out of this map. There are 4 turrets in the map. They don’t like you but they don’t like headcrabs and Zombies either! Try to use the turrets instead of your own weaponry. If you just want to get on with it, you’ll probably find it boring. If you have the patience to use the turrets, it’s quite satisfying to reach the end having barely touched your own ordinance. Just make your own fun. A poorly lit maze with enemies in it. There’s not even any challenge due to having way too much health and ammunition. There’s not even any height variation, so yes, this could be a Doom map, a really really bad Doom map. 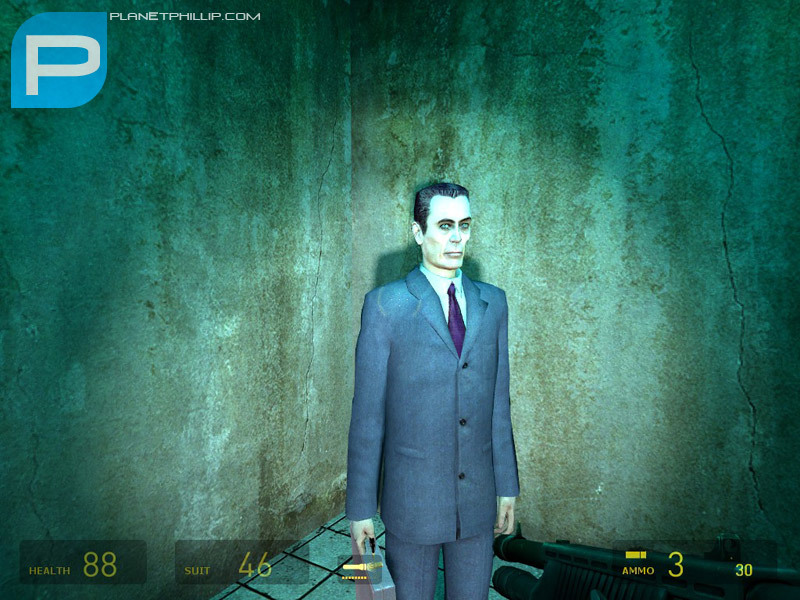 There’s not even an end, you find Gman and he stands there, staring at you. I even decided to take the gnome to the end and that didn’t do anything. Not even the gnome can save this map. Positively NOT worth playing. This map is a small, quick map that wouldn’t of taken long to make. 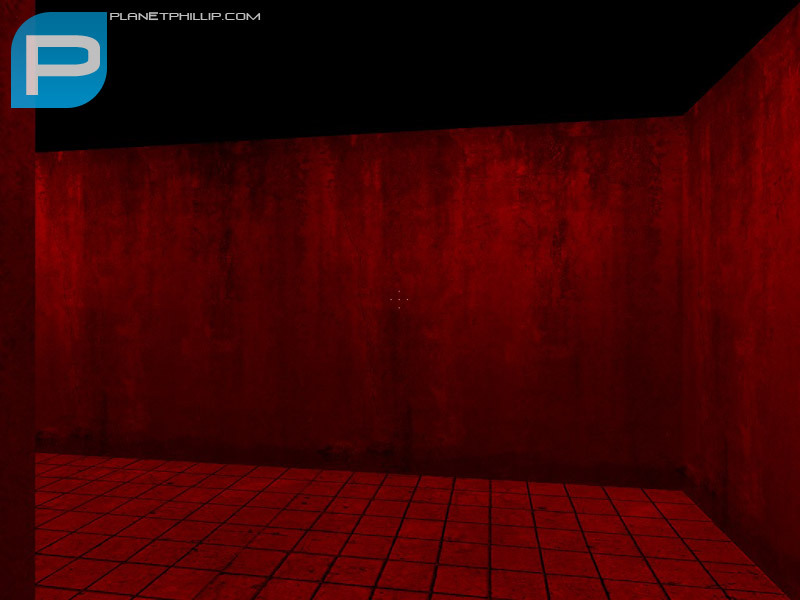 It includes almost fully red lighting, absolutely no height, a floating piece of cardboard and even wooden boxes with no rotation. I really don’t like that, do you ever see perfectly aligned boxes? You can see the boxes I am talking about in the second screenshot. The red lights have no apparent light source. 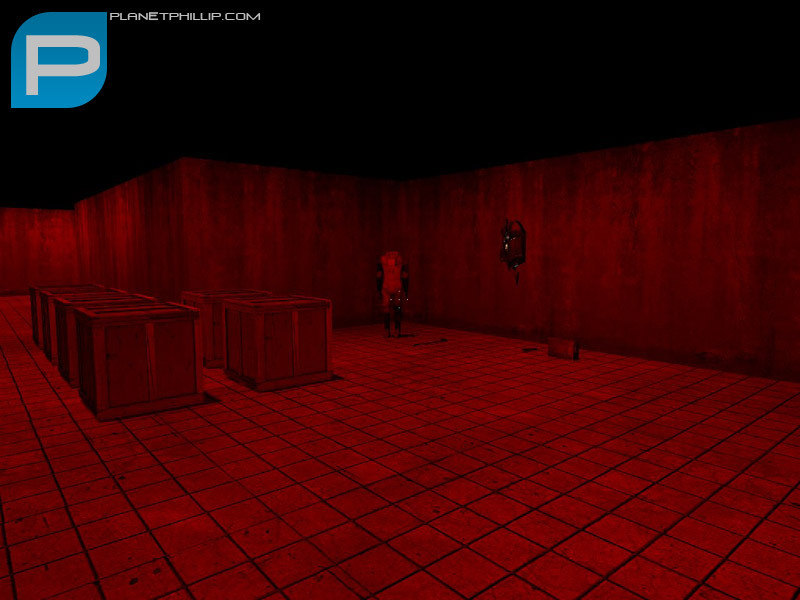 It has many supplies around and lots of enemies, which are all zombies. There are supplies next to dead corpses and skeletons in little pockets of the map, which is good. There was no shortage of health and ammo. After noclipping, I found there are some strange brushes on the roof of the map, that are, by the way, not nodrawed.